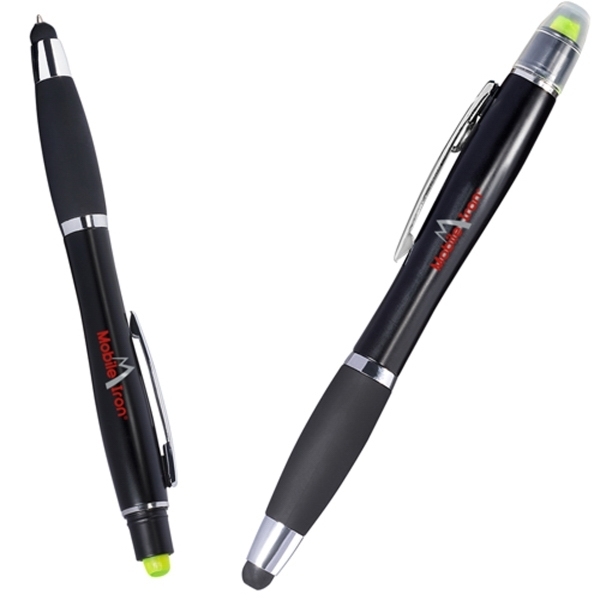 ABS plastic twist-action ballpoint pen with metallic accents. Features neon-yellow wax highlighter, ergonomic black rubberized grip and soft silicone stylus. 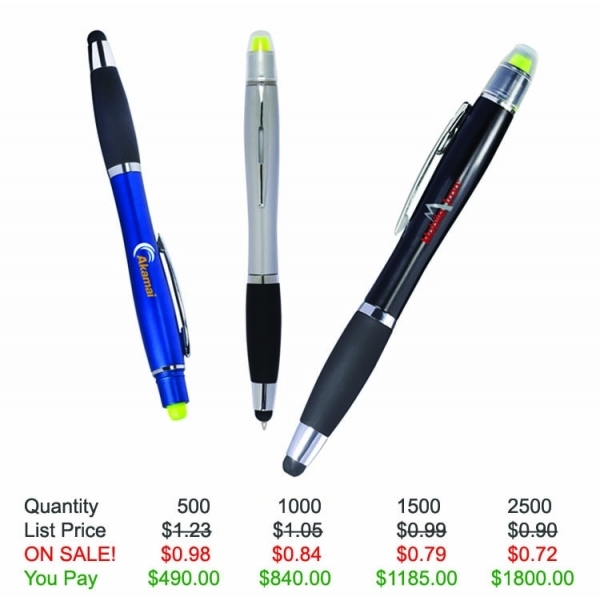 Ballpoint extends through stylus. Save on this custom highlighter with Free Setup, Free Rush Service, Free Artwork and Free Shipping. 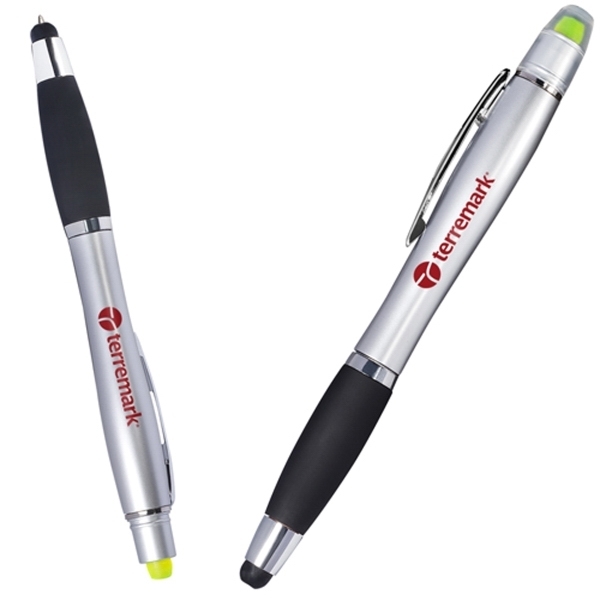 Product Features: Features ballpoint pen, neon-yellow highlighter, rubberized grip, soft silicone stylus. Shipping Weight: 500 pieces per carton, 27 lbs per carton - FREE Shipping!